All Explore Scientific Air-Spaced Triplet APO Refractors are diffraction-limited at .25PV or better. Special EMD enhanced multi-layer coatings are deposited on all optical surfaces, and the result is bright, high contrast images with virtually no light scatter. 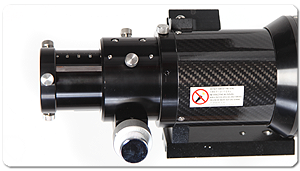 Interferometic data on your newly purchased and registered Explore apochromatic refractor is available upon request after 6 months of ownership. Time restrictions apply; please contact Customer Service for more information. 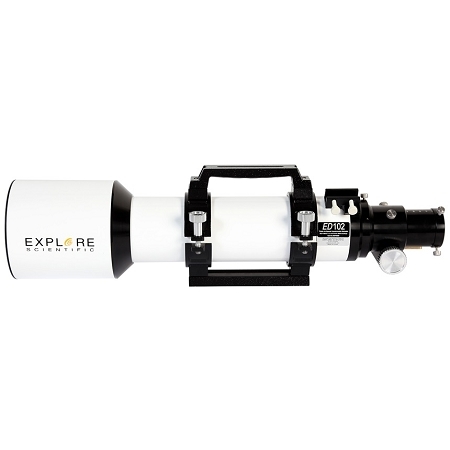 The Explore Scientific 102mm f/7 Air-Spaced Triplet ED APO produces a visual experience that is often compared to much larger aperture reflector telescopes. The contrast and resolving power can reveal stunning detail on planets and deep sky objects alike. 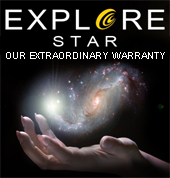 The designers of the Air Spaced Triplet ED Apo Series pursued to produce top-quality refractors with lasting value. 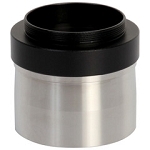 The optical solution was to provide a traditional air-spaced design mounted in a rugged, adjustable lens cell. This design, shaped from experienced craftsmanship and polished from genuine HOYA FCD1 (Dense Fluor Crown) ED (Extra-low Dispersion) glass, a critical element to produce images that refractor afficianados know can only be obtained with a high-quality true apochromat. Exploring the fine features around the Moon's Hadley Rille will put to test observing skills of any astronomer as well as precision of telescope optics. Better optical quality dictates more precise focusing. This is especially true when observing at high magnification or when making CCD images. With a standard focuser, you will find that a tiny nudge will throw out focus and turn your night into one of frustration. So we included as standard equipment, on all Explore Scientific ED Apos, two-speed Crayford-style precision focuser with tension adjustment and lock to obtain and hold perfect focus. We think you'll agree that such precision is worth it.